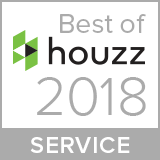 Doopoco Enterprises has been awarded Best of Houzz 2018 for our client’s satisfaction with our service. Please see a copy of the press release below. Thousand Oaks, CA January 18, 2018 – Doopoco Enterprises of Southern California has won “Best Of Service on Houzz®, the leading platform for home remodeling and design. 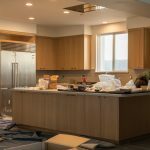 The high end custom cabinetry company was chosen by the more than 40 million monthly unique users that comprise the Houzz community from among more than one million active home building, remodeling and design industry professionals. Jim and the team at Doopoco Enterprises take pride in the high level of craftsmanship that goes into the creation of their cabinetry. They share in the satisfaction of the client for the quality and service that is provided. It is their commitment, that their clients are deeply satisfied by the quality of the work and the integrity with which they serve.